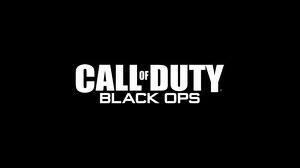 Today Call of Duty Black Ops has a update patch available making it only playable only for 3.6+ Users. Do not Update if you have CFW or a Jailbreak for 3.55/3.41. C4 can no longer be warped to player carrying bomb in S&D and Sabotage. Removed erroneous "Reset to Default" message when trying to load a DLC map you do not have. In-game icons (care package icons, etc) no longer appear in the Create A Class menu. Ninja Pro Perk no longer makes sounds when mantling or diving to prone.